After more than half a year, we are finally feeling more settled. Some things I’ll never really get used to (cough traffic cough), but others don’t phase me anymore. During her visit, I asked my sister to point out things that strike her as strange just to remember how different things can be here. Oh, it isn’t normal to have to walk in traffic to avoid parked cars on the sidewalk? Good to know. Carry on. But I think no matter how long we stay, there are some things I will never get used to. Such as . 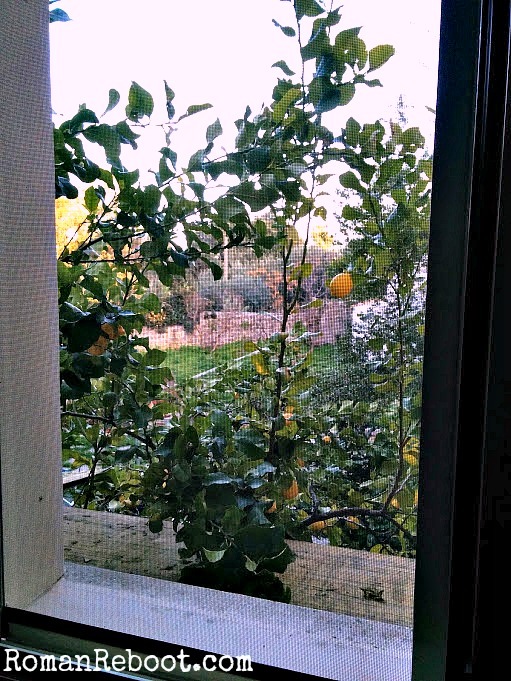 . .
That Mediterranean climate means people have citrus trees just hanging out. In courtyards. On balconies. YEAR ROUND. Not only is it there, but the fruit is huge. 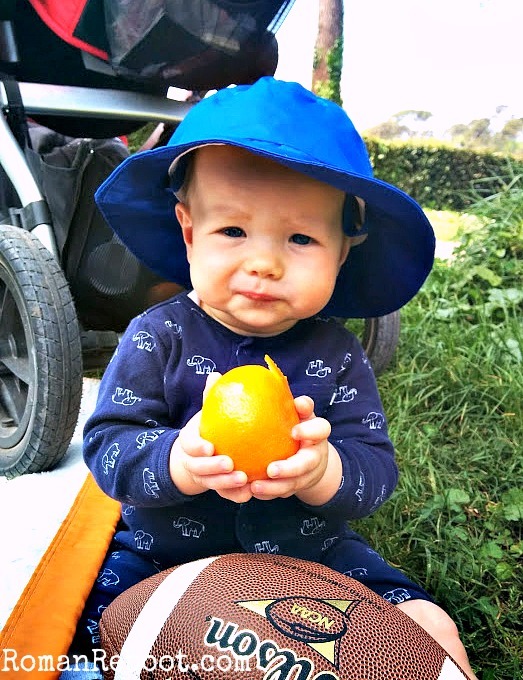 I swear I’ve seen lemons as big as my head at Villa Borghese. And maybe some of the fruit is eaten, but it really is largely ornamental. I will never get used to perfectly good blood oranges rotting on the sidewalk. Remember how 20 years ago, you could play punch buggy (NO PUNCH BACK) because there were actual OG VW Beetles on the street? Now I feel like you see one every now and then, but it is rare indeed. Not the case here. 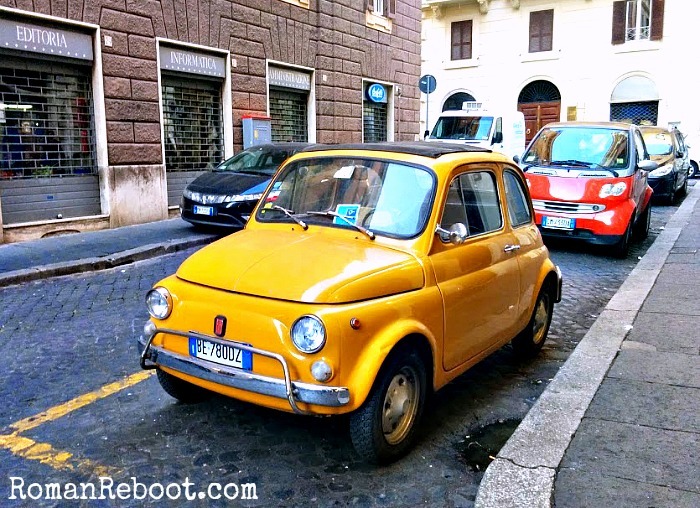 Granted these cars are in the minority, but on a daily basis I see a Fiat or Mini Cooper that is at least 50 years old. These cars aren’t just parked in driveways (haha, driveways, I know, good one); they are being driven around all over town. Wild. I clock some serious hours at the playground. If you’ve spent time with your children at a playground, you know that a not insignificant portion is spent calling the kids’ names. Henry! Not so far! Mac! Don’t eat that rock! Henry! You have 50 cars of your own; please don’t take his!! You get the picture. At least I’m not the only one. Lorenzo! Lucrezia! Guido! Bianca! Michelangelo! Oh, the names. So beautiful. But so different. The names are always a jarring reminder that we are a long ways from home. Hey! SAHM with 2 littles in DC area here… You make me laugh so much my husband wonders what cat antics I’m watching. ^^ I just found your blog through MMDarcy’s style post yesterday… I saw your comment about one shirt, and had to see what that was about. ha! I’m almost converted. Why are the most primal functions of life so difficult for moms with littles!? Please continue answering that with your delightful reflections. God bless your life of cheerful sacrifice! Aw, thanks, you made my day! This is one of the best compliments I have ever received. Thanks for reading!